The hair holds a permanent memory of the chemicals in your body. Did you know that your hair has the advantage of long-term memory? Hair is a permanent record, like tree rings. A three-inch strand of human hair will give a six-month history of what’s going on in the body since head hair grows at a rate of about a half an inch a month. A hair analysis determines exactly what chemicals are inside of your body, including radiation, heavy metals like mercury, food chemicals such as aspartame, pesticides, and more. The hair analysis is the best “roadmap” to view a history of what’s going on inside of you. How Does The Hair Analysis Work? By detoxing unnatural chemical toxins, like mercury and lead, and by replacing specific vitamins individual to your needs, proper health can be restored using nutrition. The hair analysis can show you these levels. 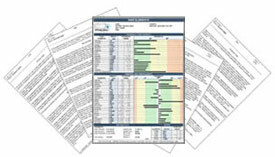 The hair analysis lab results show your toxins and your nutrient levels. It can be overwhelming to walk into a vitamin store and wonder, out of the thousands of bottles on the shelves, “Which ones do I need?” The hair analysis specifies which nutrients your body is lacking, and which, if any, you are too high in. The hair analysis actually saves time and money when you learn exactly what your body needs, or doesn’t need, nutritionally. My own hair analysis was an important part of my natural healing from Grave’s Disease in 1991. I discovered through my personal recovery, I couldn’t fight what I couldn’t see. The hair analysis is an excellent tool to identify specific toxins, and the vitamin and mineral deficiencies caused by them. As with any chemical in solution, food chemicals, like aspartame and MSG, saturate the body with toxins that can penetrate the brain and infuse the bloodstream. Human beings are polluted with over 14,000 food chemicals we are exposed to daily. 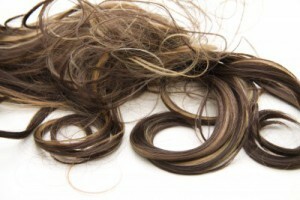 The hair analysis can show you what toxins may be within your body, and if any damage has been done.